Memorial tribute for Paper Mill Playhouse’s former executive director Angelo Del Rossi (pictured) is scheduled for Oct. 20 at the Paper Mill, Millburn, NJ. 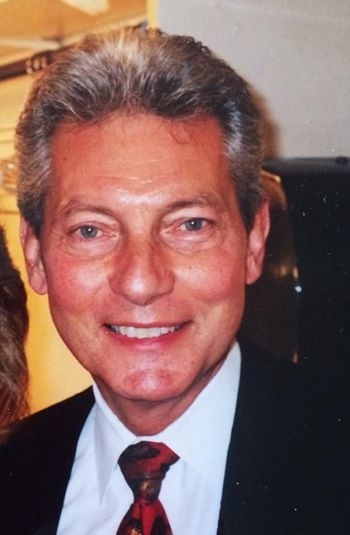 Angelo Del Rossi, Paper Mill Playhouse’s former executive director, will be remembered during a memorial tribute beginning at 1 p.m. Oct. 20th at the theater he led at 22 Brookside Drive, Millburn, NJ. The event will be hosted by Del Rossi’s husband Per Rasmussen and scheduled performers include Lee Roy Reams, Judy McLane, Leslie Kritzer, Glory Crampton, Richard White, Susan Powell, Janna Robbins and Governor Tom Kean. “During his 40-year tenure, Angelo certainly earned his role as the ‘face of Paper Mill’, ” said Mark S. Hoebee, the theater’s current producing artistic director. “You couldn’t mention one without immediately thinking of the other. Del Rossi was a familiar and respected leader in the theater community. He was the driving force behind the rebuilding of the playhouse after its destruction by fire in 1980. He worked with such theater luminaries as George Abbott, Stephen Sondheim, Maury Yeston, Stephen Schwartz and Jerry Herman, who willingly turned to Paper Mill Playhouse to introduce new work or bring new life to their previous successes. The event is free to the public, no tickets or reservations required to attend. In lieu of flowers, the family is requesting memorial contributions to the Angelo Del Rossi Fund, Paper Mill Playhouse, 22 Brookside Drive, Millburn, NJ, 07041.